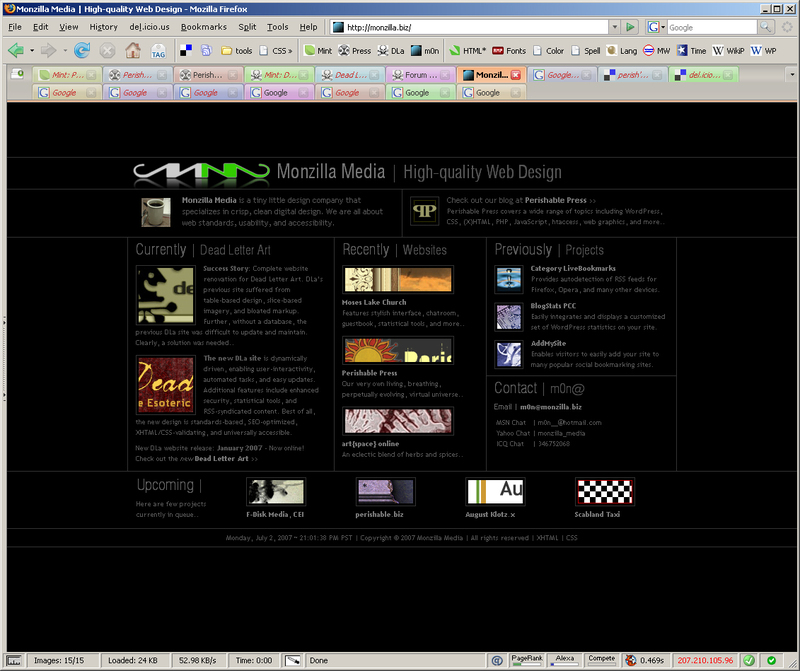 Obsessive Web Development As promised, the official website for Monzilla Media launched on January 2nd, 2007. Several weeks went into the development of the site, which is designed to provide a concise overview of current events and projects. The online presence of Monzilla Media opens up a new realm of possibilities, with business now marketed worldwide via the internet. 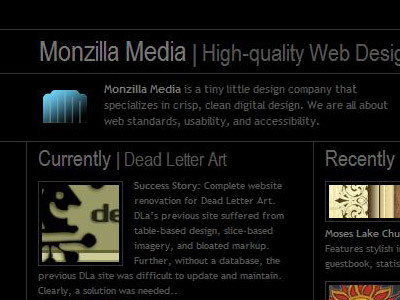 Monzilla Media specializes in providing highly customized web design with a sharp focus on standards, usability, and accessibility.